Mister Rogers arrives with a small plastic watering can which he uses to water the plant in his front room. Playing a game, viewers are asked to hum while he pours water into a small cup and to stop when he stops. Bob Trow stops by and talks about taking the McFeelys to the bus earlier in the morning. He invites Mister Rogers to visit his shop later to meet someone who makes toys out of wood. In the Neighborhood of Make-Believe, Handyman Negri is preparing a pot as King Friday XIII anxiously awaits a spider plant to be delivered from Someplace Else. Miss Paulificate shares a message from Harriett Elizabeth Cow stating that King Friday cannot have her plant but he is welcome to come see it at Someplace Else. Naturally, this angers the king and he orders Harriett to report to the castle immediately with her plant. Arriving at the castle, Harriett brings a different plant instead but is still very unhappy about the King's orders. Queen Sara strongly expresses to King Friday that she thinks his demands are unreasonable and the plant is to stay with its rightful owner. Back at the house, Mister Rogers sings The People You Like the Most and talks about how people who love each other sometimes get angry with one another. At Bob Trow's Workshop, Mister Rogers watches as Marianne Wion works on a wooden elephant toy. She talks about her lifelong passion for woodworking. 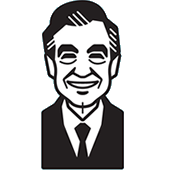 Returning to his house, Mister Rogers talks about mothers and fathers often have to be away from their children when they go to work. He concludes by singing Many Ways To Say I Love You. Bob Trow mentions that he must get back to his responsibilities of "speedy delivering" while Mr. McFeely is away. Having just committed to visiting Mr. Trow later in the day, Mister Rogers says "We'll be with you tomorrow." Portions of the Neighbohrood of Make-Believe segment from this episode were used on the VHS release What About Love.